Education Director Noah Falck was able to sneak back into town before the storm. 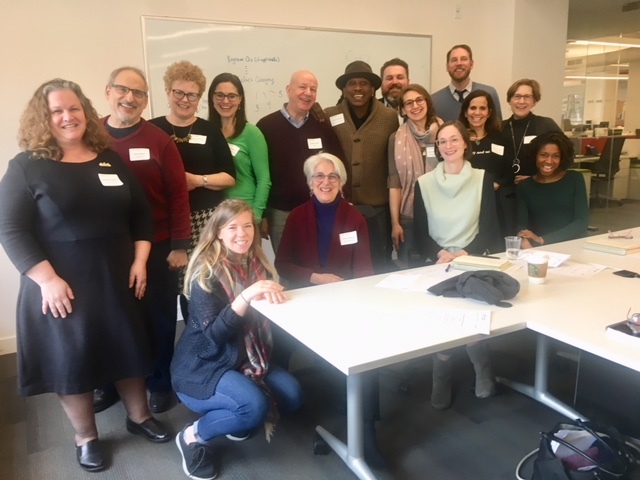 He spent a few days at the NYSCA offices for a conversation on professional development opportunities for arts educators. It is always a great occasion to meet our colleagues at other organizations; we’re all stronger together! Ed Friedman & Maura O’Malley of Lifetime Arts, Inc.